I didn’t know what to expect with Cape Town. The photos I’d seen were beautiful, but there was so much negativity in terms of crime. We decided to give ourselves nearly two weeks at the end of our African overland trip to see the city and surrounding area. 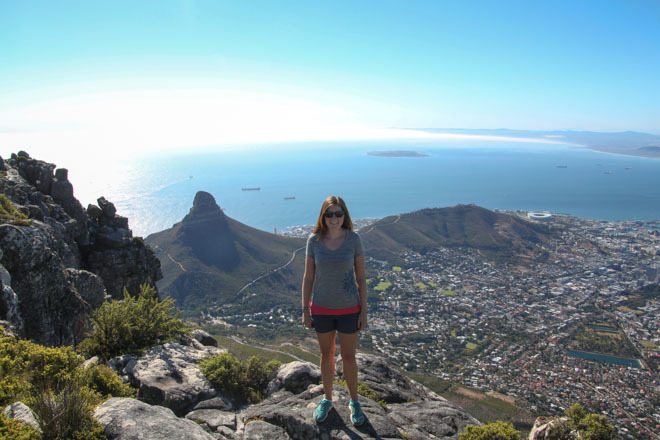 I ended up loving Cape Town and wish we would have given ourselves a month! It has such a cool vibe. Great restaurants, beautiful waterfront, and of course, Table Mountain! Plus, I couldn’t get enough of the South African accent. Another bonus is that wine country is just a short drive away. I finally lived my dream of wandering the vineyards of Stellenbosch. We also loved our Airbnb and our host really made our stay memorable. To George, thanks so much for being an awesome host and friend while we were in Cape Town. We will always recommend your place to anyone visiting SA! You are truly deserving of your Superhost status! Although I had one of my absolute worst days of our trip in Ubud, it is definitely one of my favorite places in the world. I’ll save that story for another post, but it involves homeless animals. Something I struggled with all over the world. Anyway, Ubud was the first place on our trip where I looked at Matt and said “This is it, this is where we’re meant to live.” Ubud was home to our very first house sit. 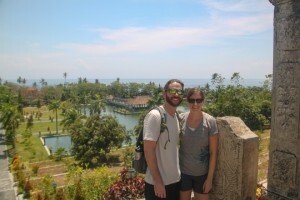 Homeowners, Lisa and Toby, invited us to come days before they left and gave us a great introduction to the city. They even brought us along to join their local Hash House Harriers group for a run through the countryside. It was absolutely beautiful and a day we’ll never forget. Ubud has a hippie healthy yoga vibe and was exactly what I needed after two months of pretty crappy eating and way too much drinking. There are healthy food and drink options everywhere and plenty of yoga to practice. Plus, Ubud is very easy on the wallet. We did so well with our budget that we treated ourselves to all day spa treatments (which cost us $160 total, including tip) on our last day in town! To Lisa, thank you for taking a chance on us and for everything that came after that. 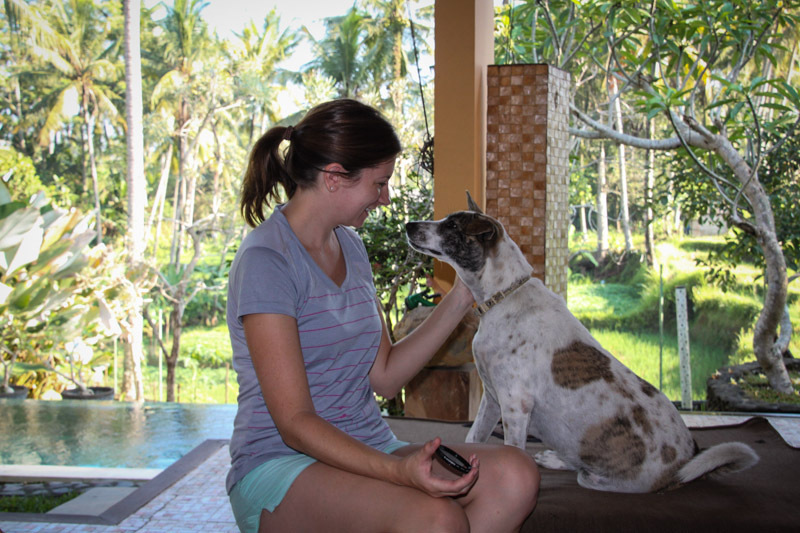 We look forward to seeing you in Ubud again. 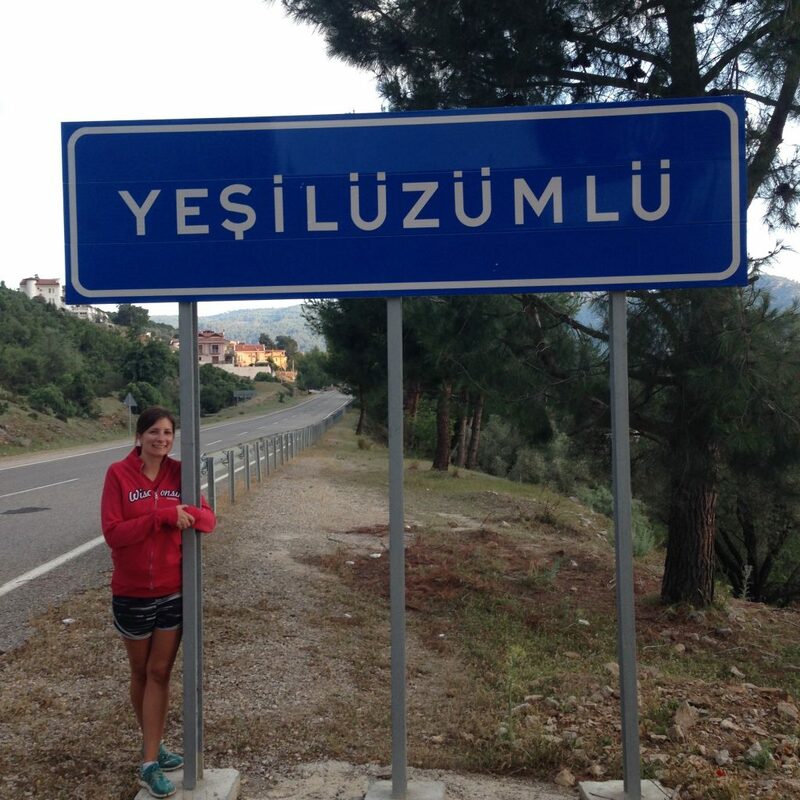 It’s a tiny village about 20 minutes north of the popular vacation destination of Fethiye. And it’s home to super friendly Turkish people, mostly farmers. It also happens to be home to an awesome group of British expats, and these guys made our stay in Üzümlü great. They were so kind to invite us along to whatever they were doing. Whether it be a day sailing the Mediterranean, a hike, or just drinks and dinner at one of the locals bars, they always extended an invite. They even made room for me in their fitness classes and took us grocery shopping! We got to see and experience so much more because everyone was so welcoming. To Sandy, Gary and Gail- thank you for inviting us into your homes, sharing your pets, and introducing us to your friends. You have a beautiful place in Üzümlü and are truly lucky to call it home. We’ll be back! I’d always wanted to visit Spain, but really had no particular place I wanted to see. I am so glad we picked Barcelona as our first stop! It’s such an awesome city (how many times have I said awesome in this post?)! 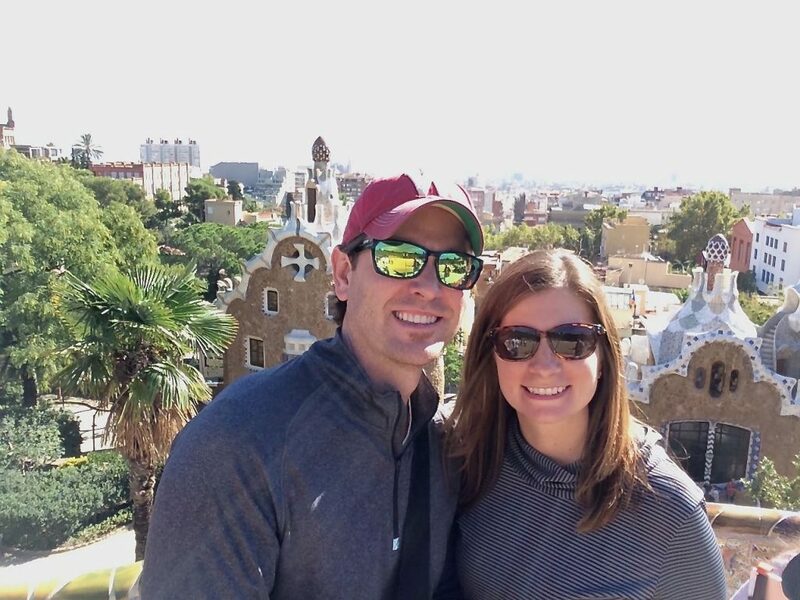 Barcelona was home to another house sit and two weeks of fun. We packed in a ton of sightseeing and I realized I am a huge fan of the architectural creations of Antoni Gaudí. 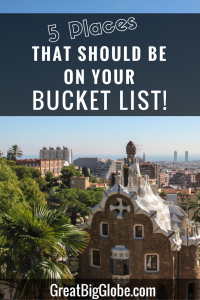 Park Güell, La Pedrera and Casa Batlló are must sees when you visit! We also tried all the food and drinks there were to try. Twice! We even got to have a meal in the home of locals, Eva and Olga. By the time we left, I felt like I needed a vacation from my vacation and wasn’t sure I ever needed another glass of wine again. In between all of that, we had three sweet kitties to cuddle with while we burned through two seasons of Homeland. 🙂 I’m not sure how we found time for it all, but it was a blast. To Ian, thank you for having us into your home (twice) and for being so thoughtful in putting together some great recommendations for us. Most of you have realized by now that I love animals. A safari in Africa has been at the top of my bucket list since forever. And I never dreamed I would be able to experience it in my 30’s. 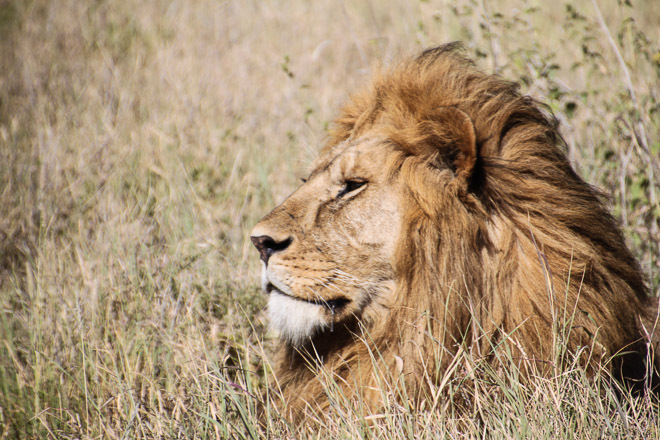 We had the opportunity to do a 3-day safari, which included both Serengeti National Park and Ngorongoro Crater. We were really fortunate and saw about every animal there was to see. My favorite moment was from our final morning: It was just after sunrise, there was a cool breeze blowing, and we came upon this beautiful male lion basking in the sun. I’ll never forget it. And this favorite place comes with a thank you going out to my husband, Matt. Great read, I struggle with seeing so many homeless animals too! It’s one of the main problems I have with travelling – it just makes me so sad! It’s definitely hard. It’s great to see so many long term travelers making time to volunteer at shelters though. It certainly doesn’t solve the problem but every little bit helps. Thanks Sandy, we’ll definitely be back! Miss you all as well! What an awesome account of your favorite places! The best part of you and Matthew being away from us for such a long times was being able to visit you in Germany. That was memorable for us! Thanks for sharing!